WHAT' S GOING ON AT THE MECK ? DECEMBER BIRTHDAYS AT WEST MECK !!!! Turn up Hawks our December birthdays are here, It’s time to have fun and celebrate. We have several staff who will be celebrating birthdays this month. We were not able to get around to all of them, we did speak to three. Coach Harrison who celebrated his 31st birthday on December 12, 2017, said he “ went to church, read the Bible, meditated, and THANKED THE LORD that he got to see another birthday”. I also spoke with Ms. Kornegay who celebrates her birthday on Friday December 14, 2017. She’ll be going to get her nails done and going to eat a lovely dinner at Ruth’s Chris Steak House. Make sure you wish her a happy 32nd birthday. Lastly but certainly not least, we have Mr. Thompson who celebrates his birthday on December 30th. He’ll be going out of state, vacationing to Iowa. We are sending a happy happy birthday to those three and the rest of you all. The CIS had their annual Christmas party like they do every year. The people who had put this wonderful event together was Ms.Howard, Mrs.Jackson and Mr.Bibbs. This event had took place in the media center during third period. This happened on December 13, 2017. The purpose of the CIS is to help show case students in a positive way. “ I had a vision “ is what Mr. De’leon said after asking him what made him start the can goods and clothing drive. He said that “ it's a duty as mankind to help those who cannot help themselves “. So far there are 6 members but the group is growing by the day. If you have can goods or clothes you would like to donate, you can donate them during your lunch in the hallway of the cafeteria. After you donate you will receive a raffle ticket for a prize on December 15th. Mr. De’leon hopes the organization brings awareness to the caribbean heritage here at west meck in the future after he is gone. West Mecklenburg High School juniors and seniors, please purchase your prom tickets now. The team in charge of prom have been promoting the cheap amount of money that you have to pay by putting up bright posters around campus before the price shoots up. Prom is in May but the ticket price goes up in January to $65. West Meck as a whole have been doing a great job by grabbing our attention so we can take the opportunity to save money for an event that most senior’s plan on attending. Ms.Couch is in charge of taking in the funds for prom, and if you have any questions go to mobile 6 and speak with her for more information. The team in charge of giving West Meck students the prom information have started a website that tells you everything you need to know about prom, you can also make prom ticket payments on the website and track down what to wear for this event if you have any trouble. Just type in “West Mecklenburg High School Prom” on google and you will find it. So students please take this opportunity and purchase your tickets NOW while they are cheap. The senior exit project has started this week and is currently going on. The senior exit project is to help kids learn how to present to the outer world and “helping them prepare to be advocates for serious issues in their community” Mrs. Wilson said. 80-85 % of the students pass the project with an 80 or higher. The hardest part about the project for the students is doing the community service because it “requires a great deal of time to complete and for students to connect with the community” Mrs. Wilson said. They usually start their senior exit projects as soon as the semester starts and it’s one reason that the teachers get so irritated because “students like to their work last minute “. Do regular education students really care about what the EC kids do or even about where they go? Well, Ms.Hogue and the Project Unify Club who is also the Special Olympics coach put a field trip together for special education kids to practice for the Special Olympics each season. The people that went along on this trip were the students ( EC) and other students, called “buddies” in the extension program. She stated the best part of this trip was seeing the buddies work with the E.C students and being able to engage in the event. The trip included bowling practice and the special olympics. Throughout the year they have four trips within the Special Olympic season.This trip took place at the Carolina Lane Bowling Alley . The Girls Unite Club, Jordan Foster, and Mrs.Forbes are bring holiday cheer to people who are in need by hosting a clothing and toy drive for people who are in need this holiday season.The drive was from December 11th through December 19th 2017. They were asking for the West Meck community to contribute to their drive by donating gently used clothes, toys and anything that could assist a human being or a family. The drive had came about because of the population of homeless people in Charlotte that had increased. Jordan and the girls wanted to decrease that problem, so they had decide to do the clothing and toy drive to provide families who are in need with the proper items from the drive. The ladies wanted to make an impact towards the public in a positive way by supplying families with what they are need during this winter and holiday season. They feel PROUD of influencing the community by giving back to people. Also they are excite to donate to the shelter and see who’s lives they had changed for the BETTER. “Right Moves for Youth”, started last week for all students grades 9-12,with good attendance and grades. “Right moves for youth” is a mentor program that helps kids approach the right path for their future. The program consists of college trips, job fairs, and exposure to different things in the college life. Although, the only disadvantage about the program is that they only meet once a week, they plan to change up the activities and field trips. “Right moves for youth”, started in 1989 and now it’s in all different schools. Here at West Mecklenburg high school officer Duckett and officer Caldwell are some staff members that are involved with this program. “This program is to motivate students and push them forward with their education,”officer Duckett said as he added, “ the kids in this program will also find a lot in common with their peers”. If you are interested, please contact Mrs. Dixon, and SRO’S Caldwell or Duckett for information. Recently, King’s college made an appearance at West Meck. English III and English IV classes were visited by speakers to teach them about the jobs, how King College works, how much money it is, and what kind of healthcare, business, design, and technology you can get into going to King's College. Programs take less than two years, so graduation rates are high. Proactive job placement assistance is offered to graduates. ​English teachers believe that KC helped the students with their research paper by informing the students on how to research the paper and what kind of format to look for.. The speakers stated that, “they know their students.” The students were concerning about the cost factor because it is very expensive. The English teachers picked KC out of all schools because they are the only ones that really show interest in helping the WM students. Only a few "negative" incidents happened so far in the school year. Unfortunatey, three students this year were caught with weapons in their book bags two of which were firearms. 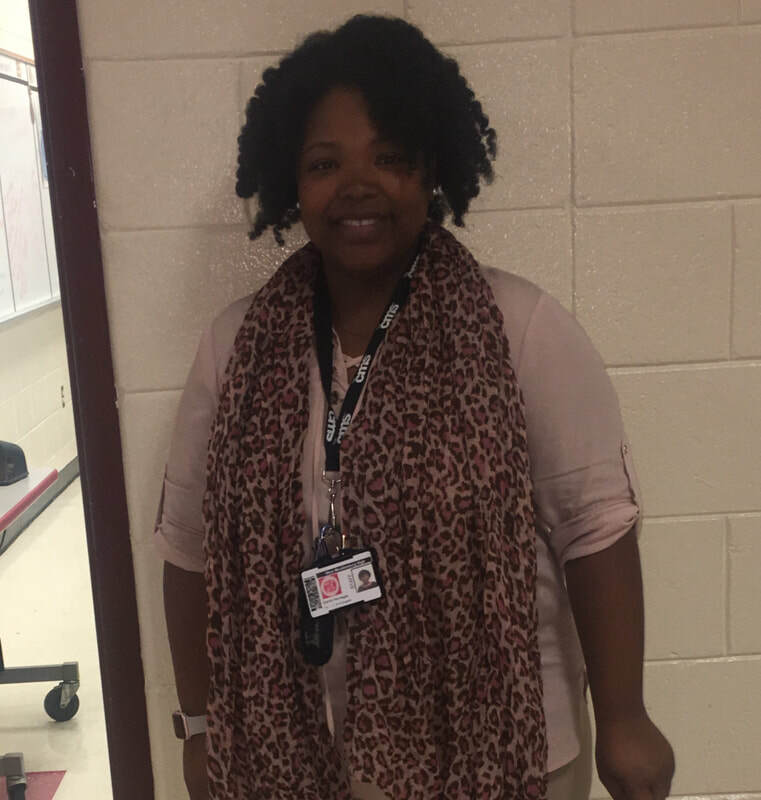 I spoke with a couple of our administrators and so far they couldn’t tell me much about the incidents that occurred but what I was told by Ms. Doggett was that they encourage students here at West Meck to build a positive and safe environment during and after school. She also encourage students to have a good teacher-student bond so if you see or hear something report it. ​ Depending on how severe or dangerous the situation is, all actions and decisions are communicated through CMS and after they conduct an investigation they will then give the consequence to the student or students involved in the situation and as Ms.Doggett said “It’s never just black and white”. A few weeks back at West Mecklenburg High school a student attempted to steal a chromebook. Due to confidentiality we are unable to release any specific information about the student, and the teacher. The administration is very tight lipped about it. another altercation occurred when a student was charging his phone and another student attempted to steal it. I am yet again unable to release the names of the students because the students are minors. Most of the crimes at West Mecklenburg High School are petty. They mostly consist of people stealing items that do not belong to them. Some even smoke marijuana on campus. There has yet to be a very serious crime at West Meck this school year.